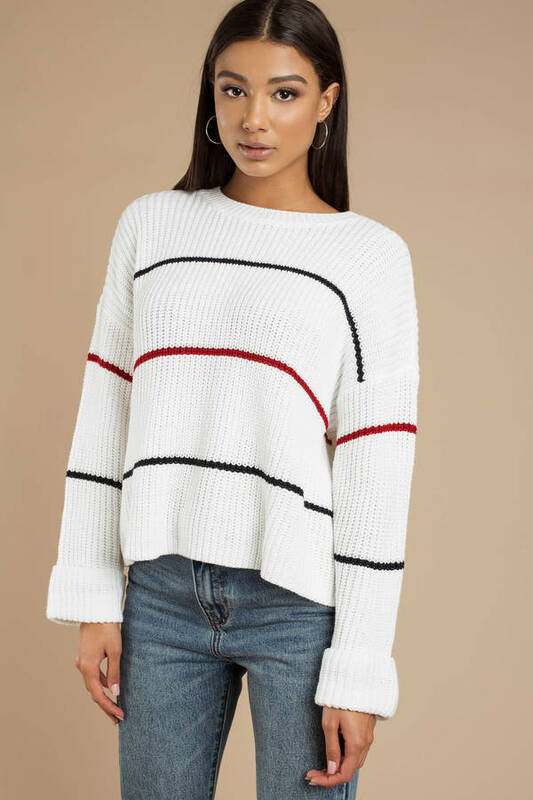 Check out Tobi's Elena Stripe Sweater So soft, you'll never want to take it off. 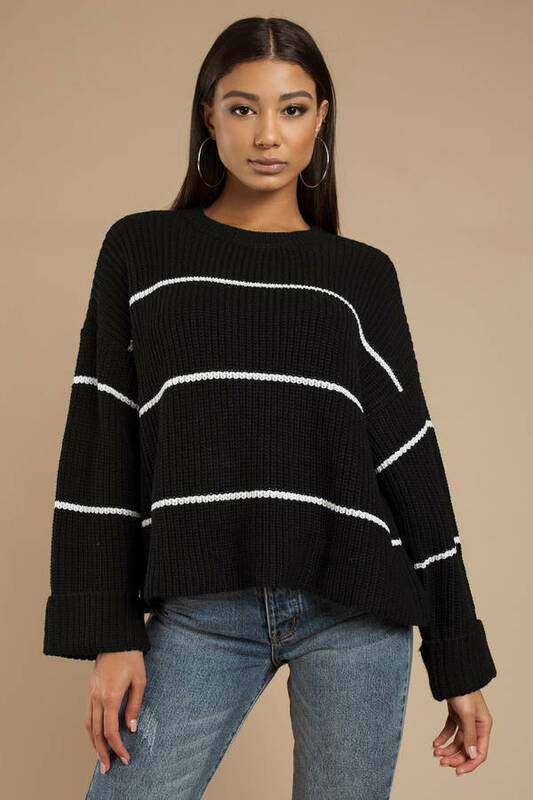 The Elena Black Stripe Sweater will keep you nice and toasty all season long, featuring cable knitting, extra long relaxed sleeves, and crew neckline. 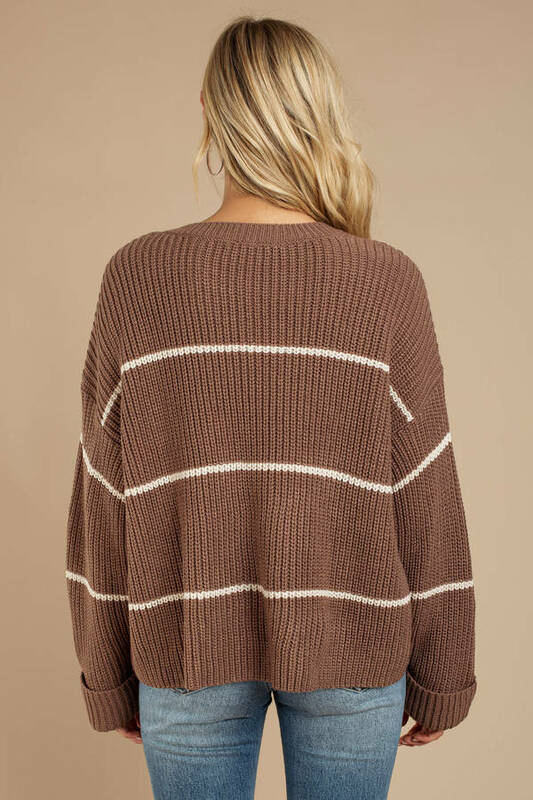 We especially love the light brown sweater with faux leather pants and booties. 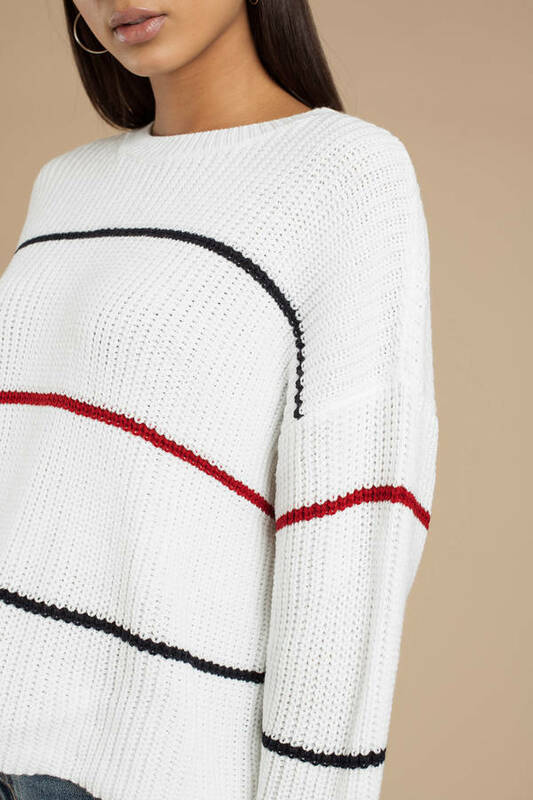 So soft, you'll never want to take it off. 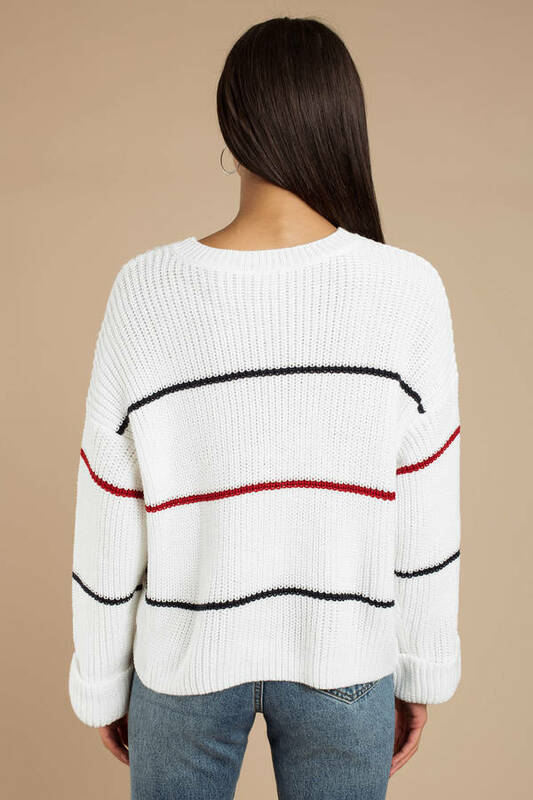 The Elena White Stripe Sweater will keep you nice and toasty all season long, featuring cable knitting, extra long relaxed sleeves, and crew neckline. We especially love the light brown sweater with faux leather pants and booties. 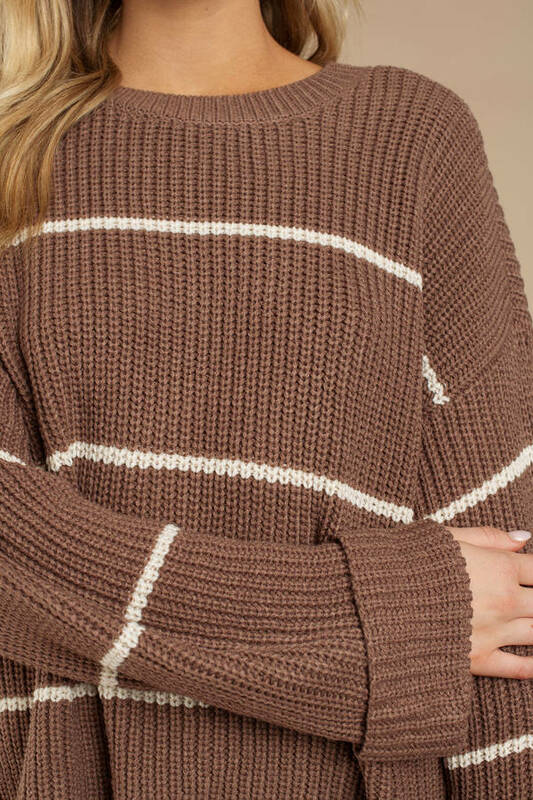 So soft, you'll never want to take it off. 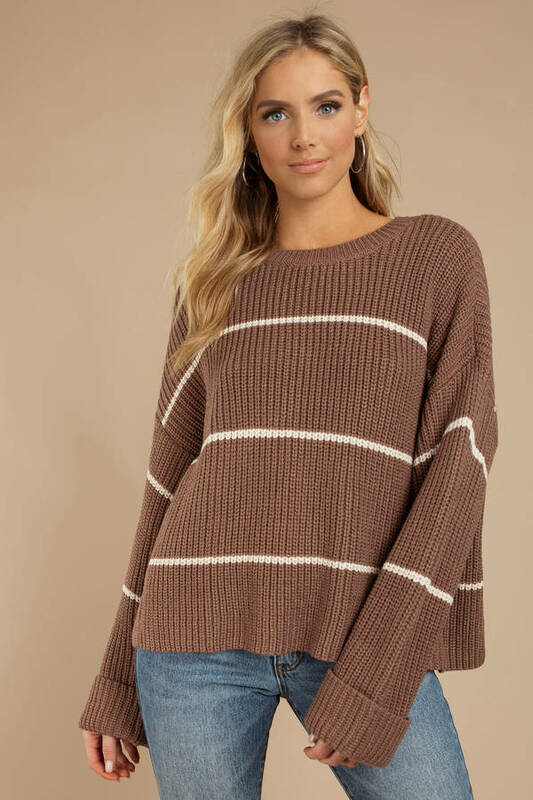 The Elena Mocha Stripe Sweater will keep you nice and toasty all season long, featuring cable knitting, extra long relaxed sleeves, and crew neckline. We especially love the light brown sweater with faux leather pants and booties. 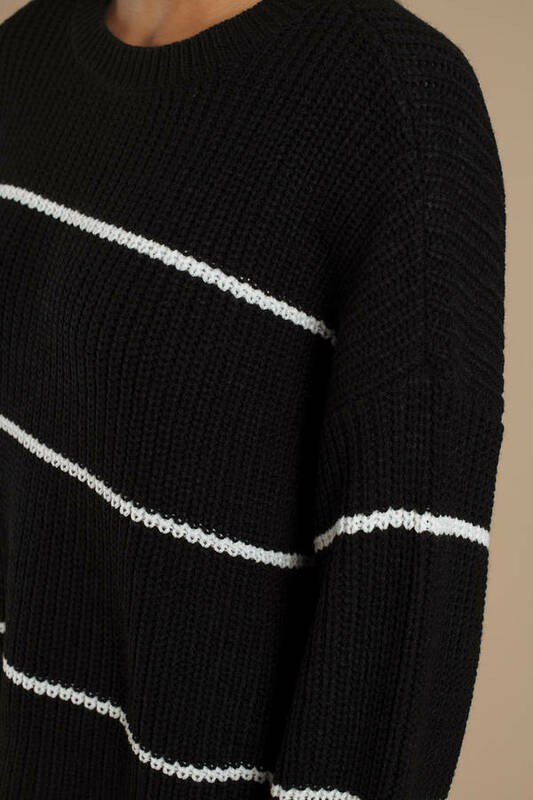 So soft, you'll never want to take it off. 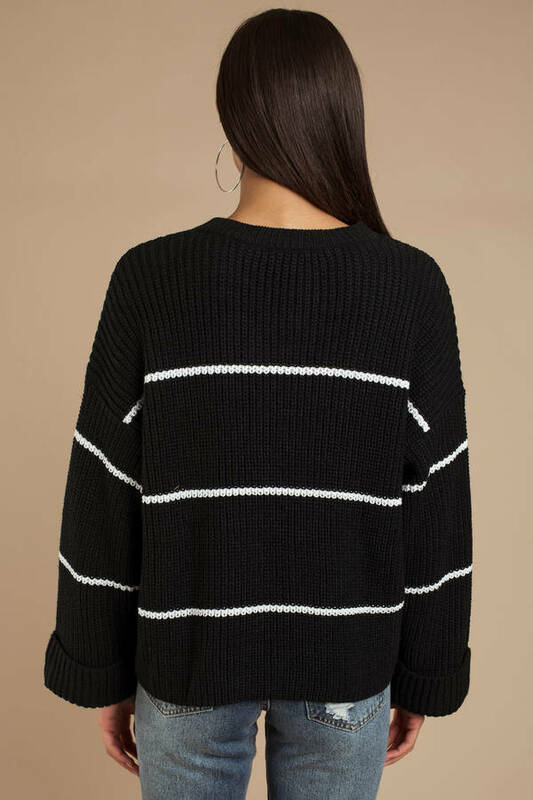 The Elena Black Stripe Sweater will keep you nice and toasty all season long, featuring cable knitting, extra long relaxed sleeves, and crew neckline. 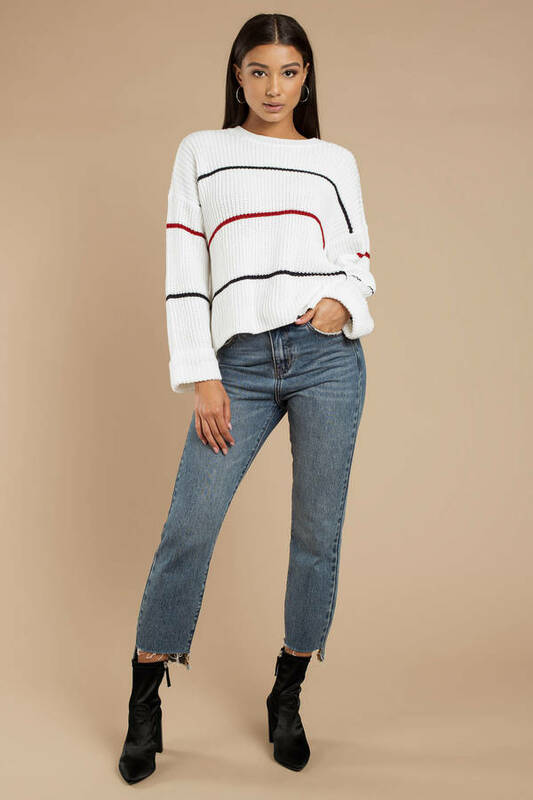 We especially love the light brown sweater with faux leather pants and booties.